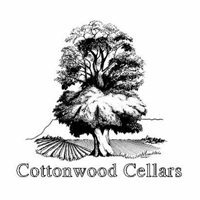 Cottonwood Cellars is a traditional European-style family winery, using equipment from Italy. We produce 3,500 cases a year. Our “reserve” red wines are aged an average of two years in American and French oak barrels, and we use new barrels (heavy, medium plus, and medium toast) every year as well as older barrels to avoid over-oaking. Our other red wines are aged an average of one year in barrel. All reds are aged an additional year in the bottle. Our Chardonnay is aged “sur lee,” where the lees remain in the barrel for at least nine months to produce a creamy texture. It is aged in new oak barrels and bottle aged one year. The winery is located on a 52-acre working farm on California Mesa, known for its mild climate and ability to grow fruit. It’s surrounded by magnificent views of the San Juan Mountains, the Grand Mesa and the Uncompaghre Plateau. Please visit and bring a lunch to eat under the giant cottonwoods. Our lovely yard can host up to 150 people for family reunions, weddings and other events. A 2500 sq. ft. building which houses the tasting room with piano, barrels, and case goods is also available. Directions: Hwy 50 to Olathe, W 3.4 mi. on Hwy 348. Visit website for wines, Wine Club, dinners, events, etc. Specialty: Full bodied “Reserve” Reds, aged in French & American oak barrels 1 to 2 yrs., then bottle aged over 1 yr.
Hwy 50 to Olathe, west 3.4 miles on Hwy 348. Call Winery. Summer: Wed-Sat, 11-5:30; Open Holiday Mondays; By Appointment only Jan 2nd thru March 31; Apr 1 to Memorial Weekend: Fri & Sat. Memorial Weekend to October: Wed-Sat, 11-5:30.